It only takes one slip in the shower or bath for you to be very cautious and nervous of the risk next time. For many people, this extends to having concerns about the safety of hotel showers and baths when staying away from home. It is a great time of year for Hotel Managers and Maintenance Managers to think about creating safer showers in hotels, before the influx of visitors over the summer months. 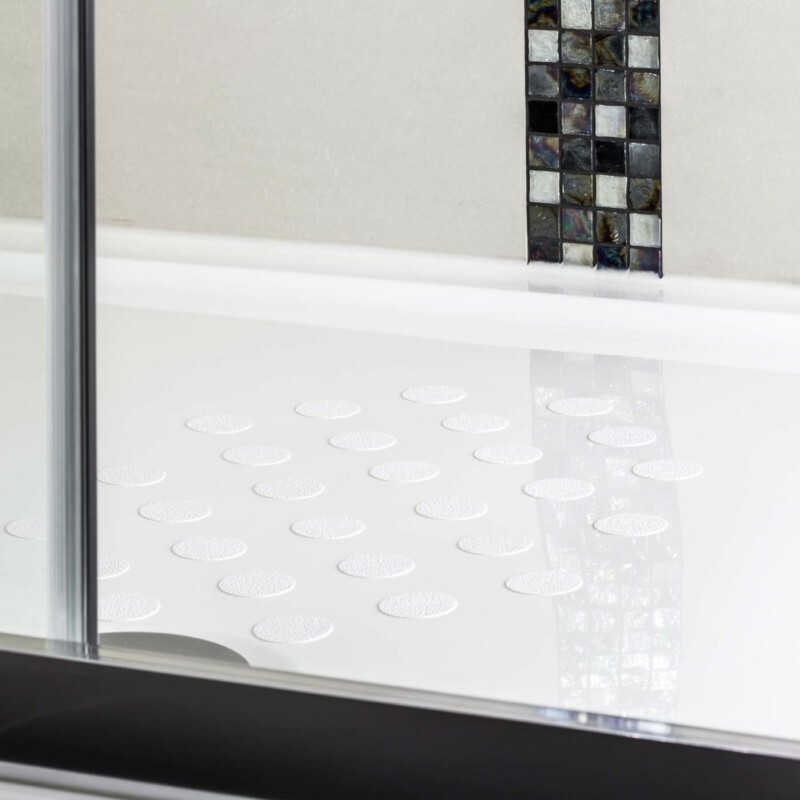 Hotels and B&Bs often find that a simple solution to the problem of slippery showers is to fit anti slip shower stickers. They work equally well on showers or baths, enamel or plastic. Simply stick to the surface to create a lightly textured underfoot grip. They can be fitted in minutes with no down time to the room. As a Manager you will have peace of mind knowing that you have paid attention to the risk. An anti-slip surface is permanently in place, even for the less able bodied guests who may not be able to reach down to put a rubber mat in place. As a guest you can be more confident to shower or bathe in the unfamiliar bathroom. Its a simple low-cost solution. Why not try it out in your hotel bathrooms? Each pack comes with 28 stickers and a fitting template, which is enough to cover a standing area of 42cm x 30cm (16.5″ x 12″). Manufactured in the UK you can be confident that the product will last well.